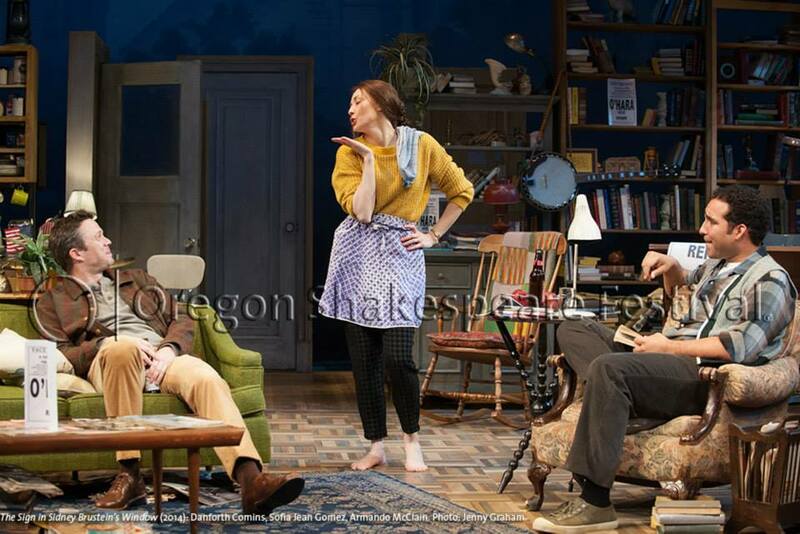 The Oregon Shakespeare Festival has published a short trailer with scenes from their 50th anniversary production of The Sign in Sidney Brustein’s Window and comments from the OSF’s dramaturg, Lue Morgan Douthit, and the director of the play, Juliette Carrillo. The Sign in Sidney Brustein’s Window is the second and last play staged during the lifetime of its author, Lorraine Hansberry. The play is a story about a man named Sidney, his pitfalls within his personal life, and his struggles in Bohemian culture. The play premiered October 15, 1964 and received mixed reviews. It encompasses themes including prostitution, drug and alcohol abuse, homosexual slurs, sexuality, race, and suicide. The Sign in Sidney Brustein’s Window (2014): Danforth Comins, Sofia Jean Gomez, Armando McClain. Photo: Jenny Graham.